Before the wedding ceremony I was able to take the bride and groom out for this quick photo. 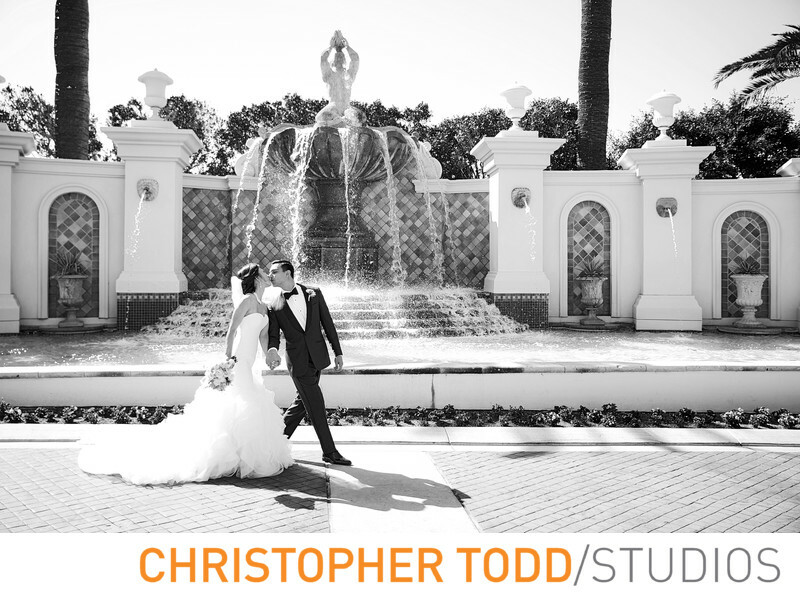 I love the classic look of the two of them kissing in front of the water fountain at Monarch Beach Resort. This luxury hotel is perfect for couples getting married. The property is gorgeaus. Location: 1 Monarch Beach Resort N, Dana Point, CA 92629. 1/500; f/2.8; ISO 100; 33.0 mm.